It’s about time you complete your wrist gear arsenal with these 10 Apple Watch accessories. 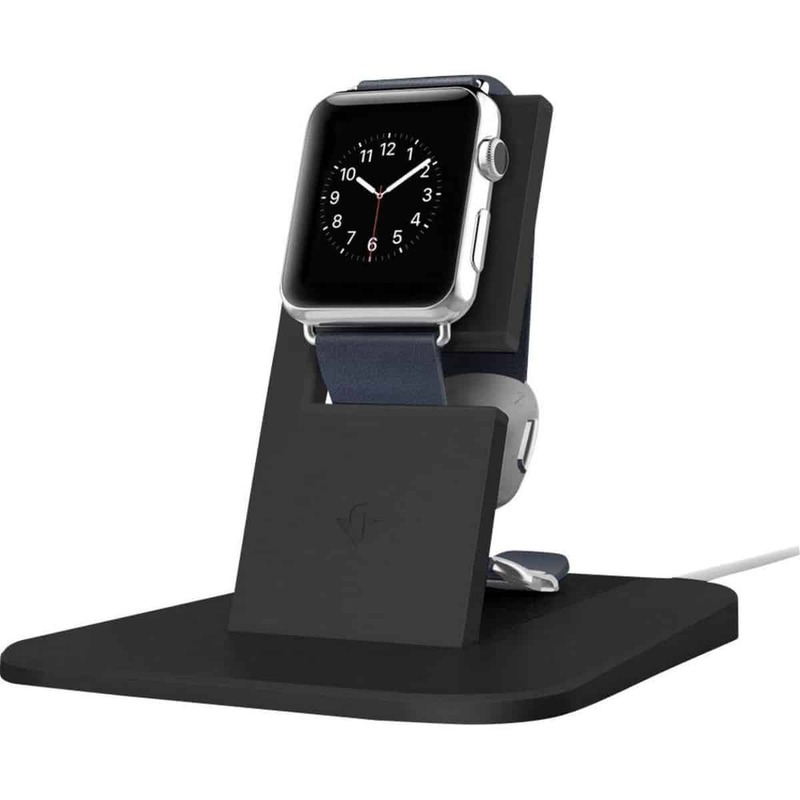 Keep your Apple Watch visible and charged up when unattached to your wrist with this rehash of the older but well-loved Twelve South HiRise stands for iPhones and iPads. With an aluminum body available in either silver or black, the Twelve South HiRise shares the premium aesthetic of Apple products. Its scratch-preventive soft silicone coated edges are Applesque, too. It does not, however, come with a cable, so you will need to get a spare if you want this to be your main charging device. Keep your Apple Watch charged while you’re on the move with the Zens Apple Watch Powerbank. Apple Watch power banks cannot get any simpler and smaller than Zens’. At 4 in. x 4 in. x 3.15 in., this power bank is minuscule and boasts of an inductive charging feature—just place it on top of the Zens and it’ll juice up. No need to connect cables. Its strong built-in battery can fully charge an Apple Watch up to three times. It comes with four LED battery power level monitors on the side and can be charged with a micro USB port. One disappointing thing, though, is it doesn’t come with an adapter. Griffin promises durable and tested protection for your Apple Watch at home, at work, and even on the go. This Survivor Tactical Case can provide your device three layers of rugged safeguarding wherever you may be. It boasts a built-in screen guard to keep your device scratch-free without compromising the screen’s responsiveness. Designed to fit all Apple watchbands, this case has TPE/polycarbonate body clips to protect your Apple Watch’s Digital Crown from above while keeping it accessible below. Apple veering away from its standard watchbands for more proprietary replacements is a major bomb. Spending more bucks on Apple’s stainless steel link bracelets can be quite the splurge. Wearlizer adaptors are here to save the day and your budget. This watch band clasp lets you attach any regular watch strap you want. Since they’re easy to install and remove, you won’t need screws or a screwdriver to use the Wearlizer clasps. 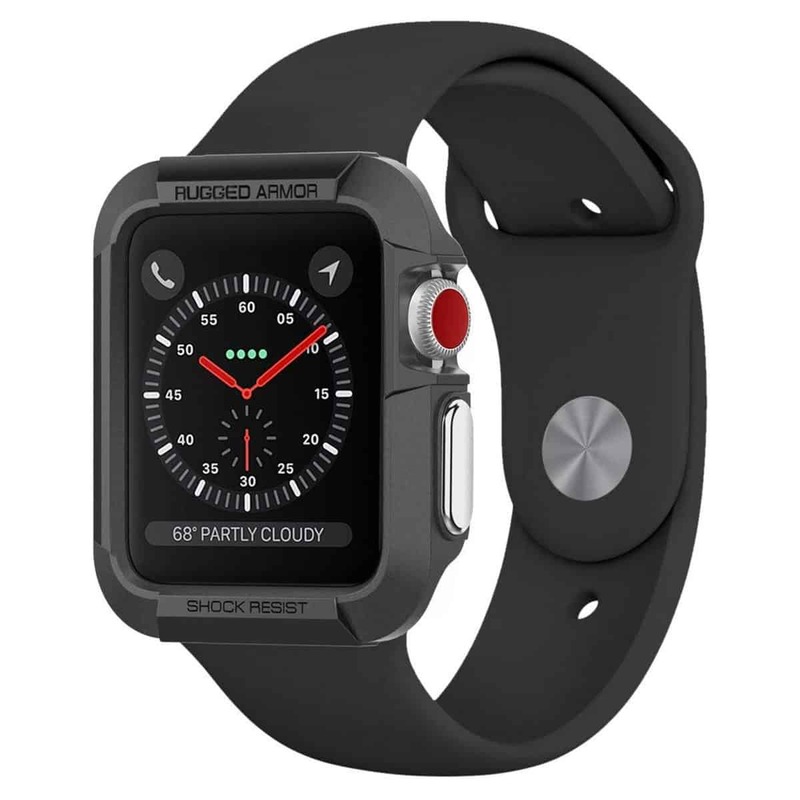 They’re made of premium stainless steel and compatible with Apple Watch, Apple Watch Sport and Apple Watch Edition. They also come with one free screen protector with every purchase. 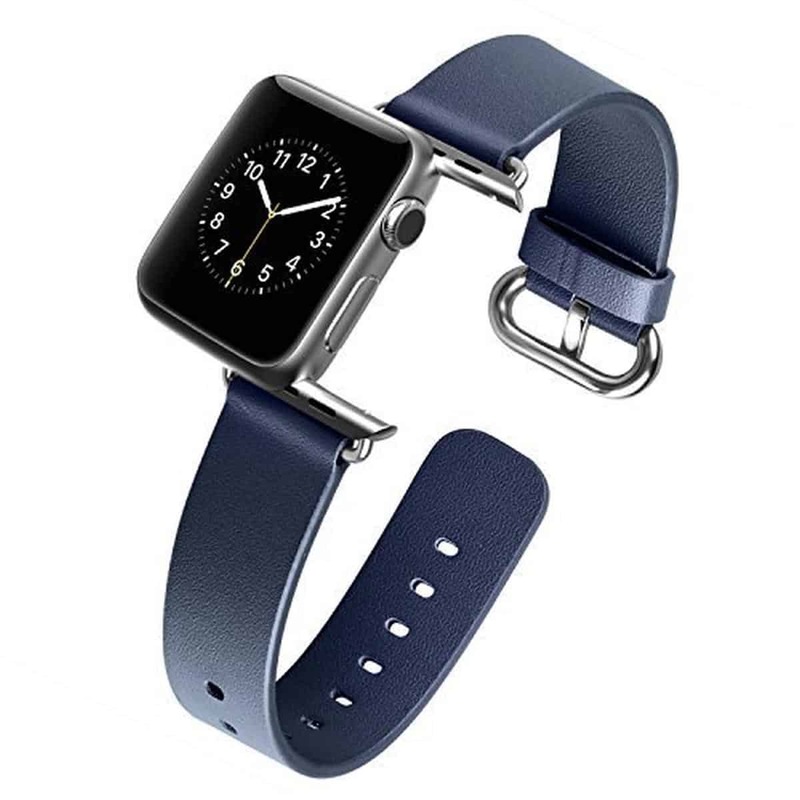 J&D Tech has been known to offer affordable watch bands since the very first Apple Watch was released. This one is no exception. Look dapper and classy with this genuine leather strap that comes with metal clasps. Elegant, gender-neutral, and soft to the skin, with an equally lovable price, this is accessory is perfect for any occasion. With the TwelveSouth Action Sleeve, you can easily turn your Apple Watch into an ultimate fitness companion. Simply attach the core of your Watch to the upper arm belt as you would a smartphone before you go for a run or hit the gym. if you’re not a big fan of having something around your wrist while working out, you have to check this accessory out. A real travel essential, this sophisticated capsule can carry most of your can’t-live-without Apple Watch accessories—from cables to extra wrist bands to USB chargers. Aside from being just a case, it also doubles as a stand for your device. A neatly integrated opening at the top of the case acts as a slot for your charging disc juicing up the battery of your watch when the case is shut. To use it as a stand, simply open the case to your desired angle. 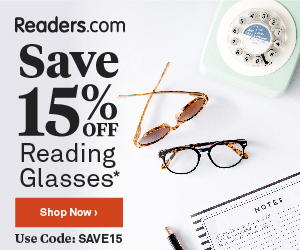 Here’s another great case for the frequent traveler. This plush leather travel case/charging dock by Sena has a microsuede top and is wrapped with European leather. 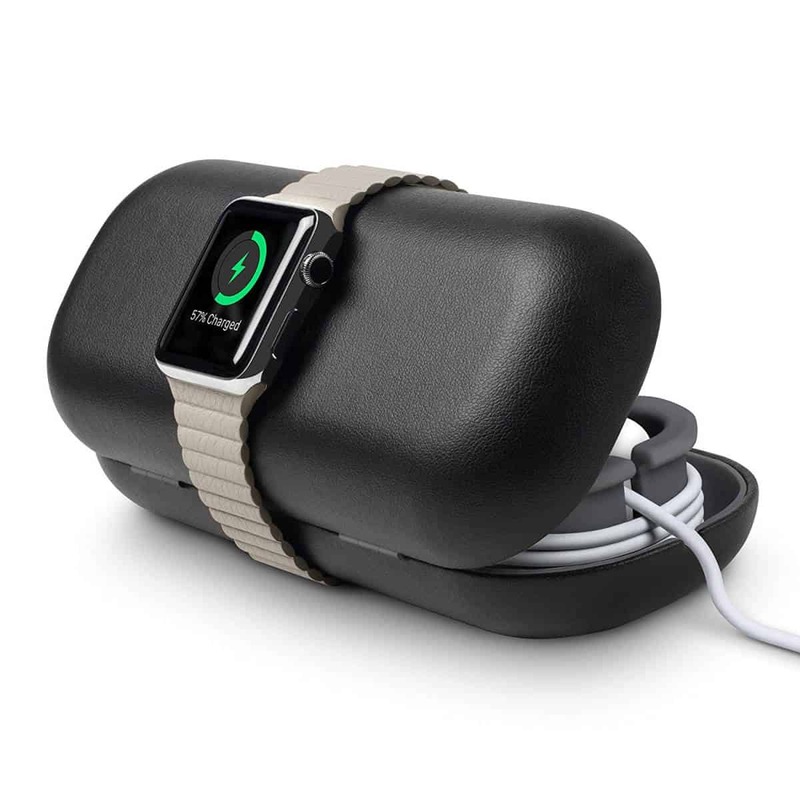 With its magnetic lid, it can keep your Apple Watch safely encased while charging when you’re on the go. If you’re in the office or at home, you can also charge your device by simply placing it on top of the case. No need to worry about having to remove your cord every time as its quick-start cord storage can manage your Magnetic Charging Cable neatly. 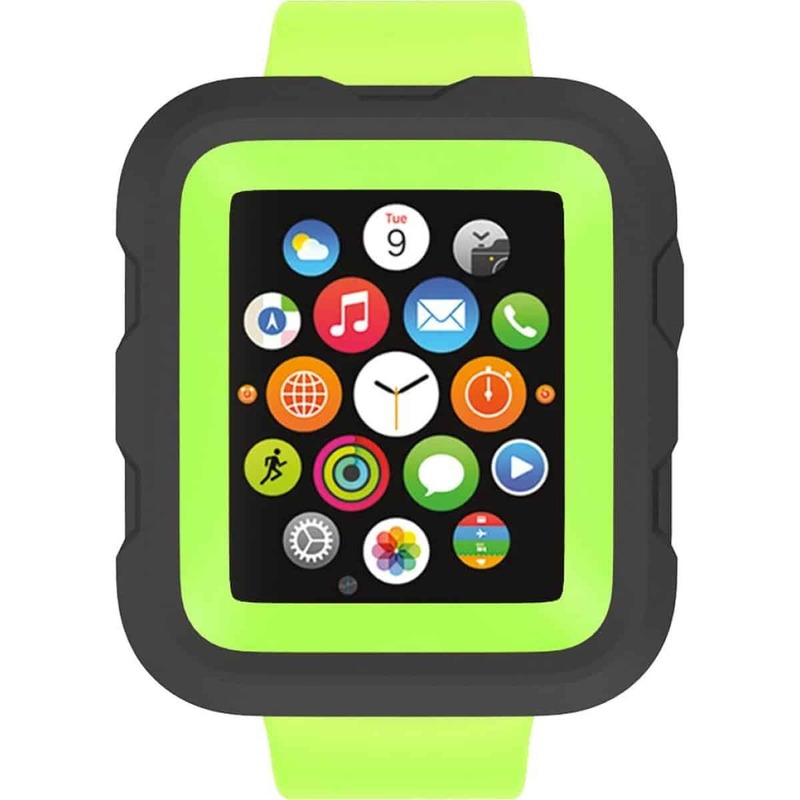 Free yourself from the worries of denting or scratching your Apple Watch by getting a Spigen Apple Watch Rugged Case. This rugged armor case can provide military-grade protection to your watch while giving you enhanced experience with the tactile feedback from it its metalized buttons. Made with durable but flexible TPU, Spigen claims this case can stand the test of time. If you want to achieve a look close to G-Shock watches, this case is for you. 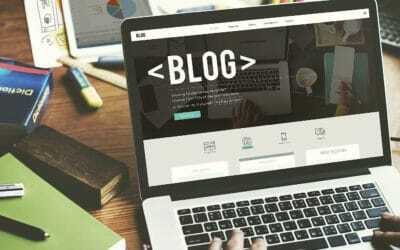 TPU Definition: Also referred to as Thermoplastic Polyurethane, TPU is often called the bridge between plastics and rubbers. It’s rubber-like, extremely flexible, soft to the touch, and durable—a material usually used with phone cases. 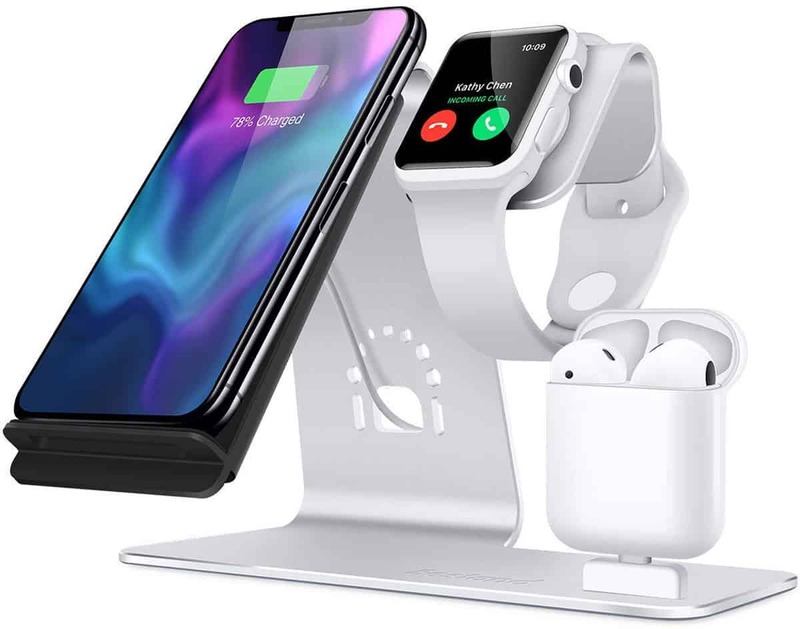 Are you on the hunt for a charging dock that can simultaneously charge your iPhone, AirPods, and Apple Watch? Bestand’s is one of the most competitive models on the market. This sleek 3-in-1 wireless charging station by Bestand can help get rid of your cable-clutter. 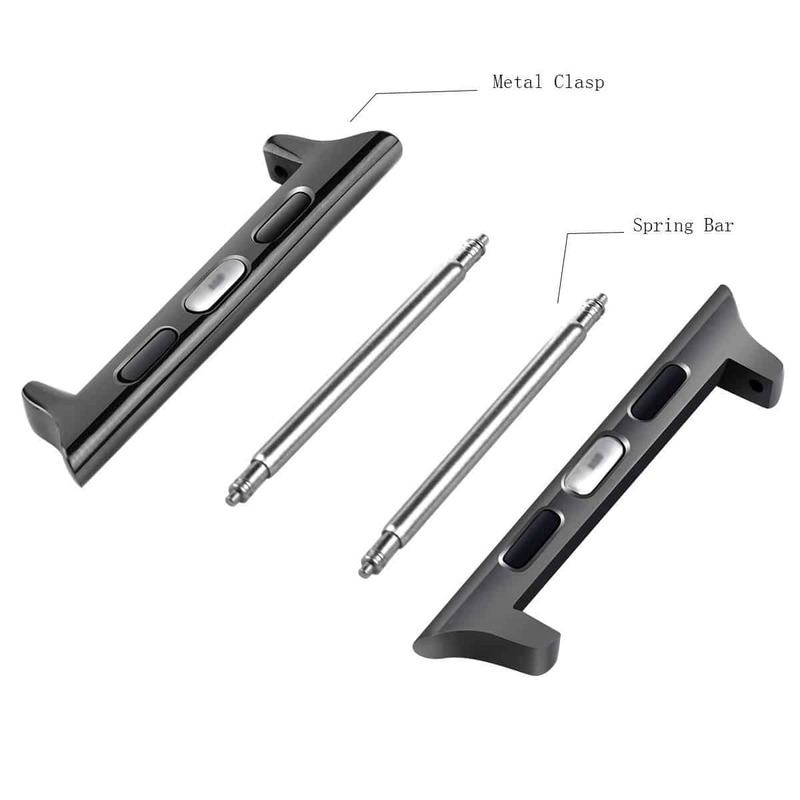 The device is specially designed for Qi-enabled devices so you can charge your iPhone in a pinch. Sturdy and durable, its main body is made of aluminum alloy while the bottom is layered with an anti-skid silicone pad. From straps to docks to protective cases, picking the best add-ons for your Apple Watch can be quite a challenge. Good thing there are lists like this one to help you out, right? Do you have any other accessory suggestions? Let us know in the comments section below!